SuperPuTTY is, like the name says or probably you guess, an interface to manage PuTTY sessions and connections to servers using secure protocols and the command line. Useful for programmers and server administrators, the program is small and has a friendly interface where you can connect to a SSH server, import sessions from PuTTY or a file. 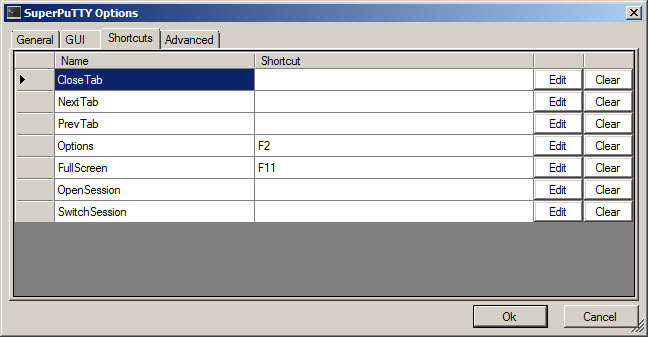 You can access the PuTTY's settings directly from its interface. 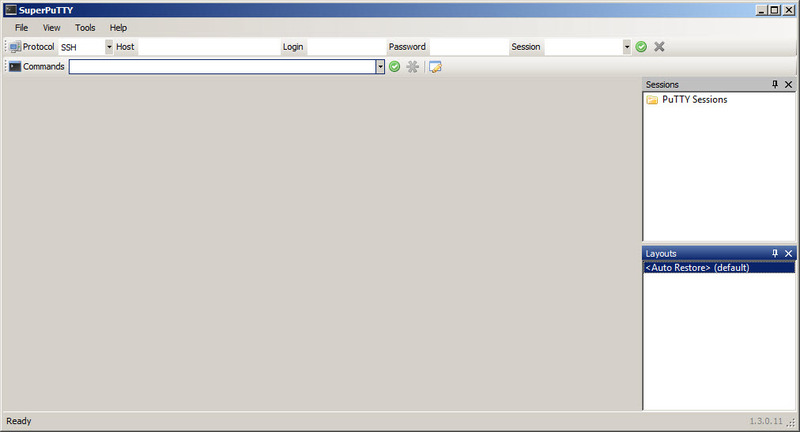 You can set it to expand on start up, show lines and set the opacity of the window. At the Options you can set different hotkeys to move between tabs. Also, you can set it to ask for confirmation at the exit, to not close it by mistake. 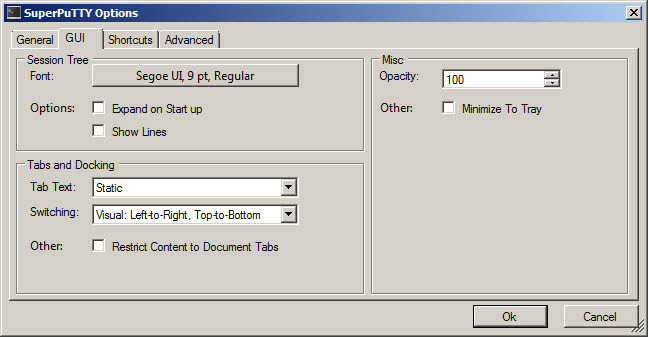 You can change the font family and the font size from the Options > GUI. SuperPuTTY is available as free download for Windows 32-bit and 64-bit.